It may not come as a huge shock that drinking alcohol on a regular basis, even in moderation, can cause damage to your brain. Alcohol is an integral part of many of our lives and while most of us try and drink responsibly, even moderate levels of alcohol can negatively impact our brain health. Alcohol affects your brain chemistry. Your brain has a delicate balance of chemicals and processes in order to function “normally”. Alcohol can disrupt this balance, affecting your thoughts, feelings and sometimes your actions. What’s more, long-term drinking means alcohol can impact your long-term mental health. The relaxed feeling you can get when you have your first drink is due to chemical changes alcohol has caused in your brain. In the most part, a drink can help you feel more confident and less anxious because it’s helping to depress the part of the brain that is associated with inhibition. The more you drink, the more your brain starts to be affected by the alcohol. When you consume high levels of alcohol, instead of these pleasurable feelings increasing, it’s often the case that a negative emotional response takes over. While you may drink for the “buzz” and the initial “feel good” effects of alcohol like heightened social mobility and that carefree feeling, alcohol is a central nervous system depressant. Drinking alcohol is strongly linked to making you feel angry, aggressive, anxious or depressed. When discussing how alcohol affects the brain people often break it down into the long term effects and the short-term effects. How alcohol affects the brain: Short term effects. The short-term depressant effects of alcohol can be seen people who have been drinking when they start to have poor coordination and slurred speech. There is a reason that advertisements caution that it should be enjoyed responsibly. In the short term, it is associated with a whole host of undesirable cognitive changes, including but not limited to poor decision-making, a loss of inhibitions, and confused or abnormal thinking. While many recreational alcohol users who keep drinking to moderate levels will generally recover from these effects without any long-term problems, even short-term loss of control over normal mental functioning can have dire results. One “heavy session” can result in either or both legal and personal troubles that only occur as a result of the alcohol involved. The longer-term effects of alcohol consumption are less likely to impact moderate drinkers, as most people who drink occasionally will overcome any negative effects. With this said, there are still numerous dangers associated with occasional or moderate alcohol intoxication, and even those who don’t drink often, or don’t consume excessive amounts can suffer at the hands of drinking. However is it unsurprisingly the long-term, heavy and chronic drinkers who are most likely to suffer the long-term effects of alcohol drinking on the brain. How alcohol affects the brain over a long period of time will vary between people, as we all have varying mental health. 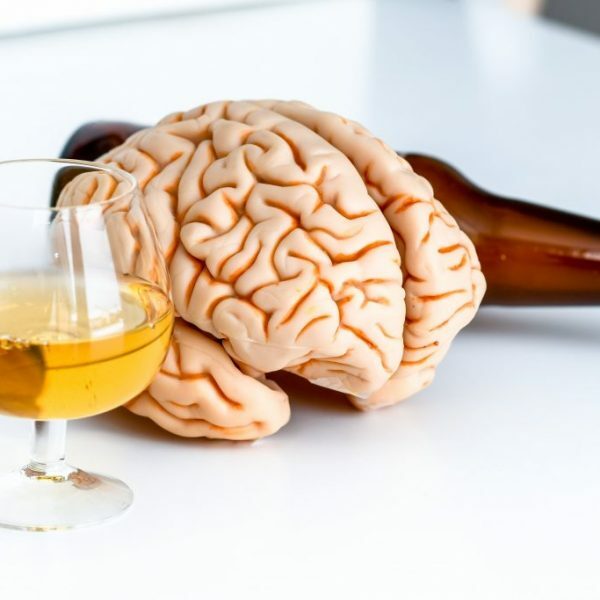 However, drinking over an extended period of time may lead to the development of brain functioning issues that could potentially continue even if you go sober. While most people drink to relieve symptoms of such disorders, like depression and stress, this can just make the issues escalate. The good news is certain types of cognitive impairment can be reversed when you abstain from drinking. Through ongoing abstinence, over a period of several months to one year, a recovering individual can continue to improve and repair cognitive skills, such as working memory, visuospatial abilities, and attention span.